Yep. That would be the other two-finger salute. You know, V. So if youre aiming to be victorious out on the water, and certainly look like it before you even start, then please read on. For Vaikobi can certainly assist you with both! So good engineering is an integral part of any brilliant brand. R&D, real world testing, and then a graphic mnemonic that is just so memorable, are what elevate said brand to the much vaunted, and celebrated status of must have. 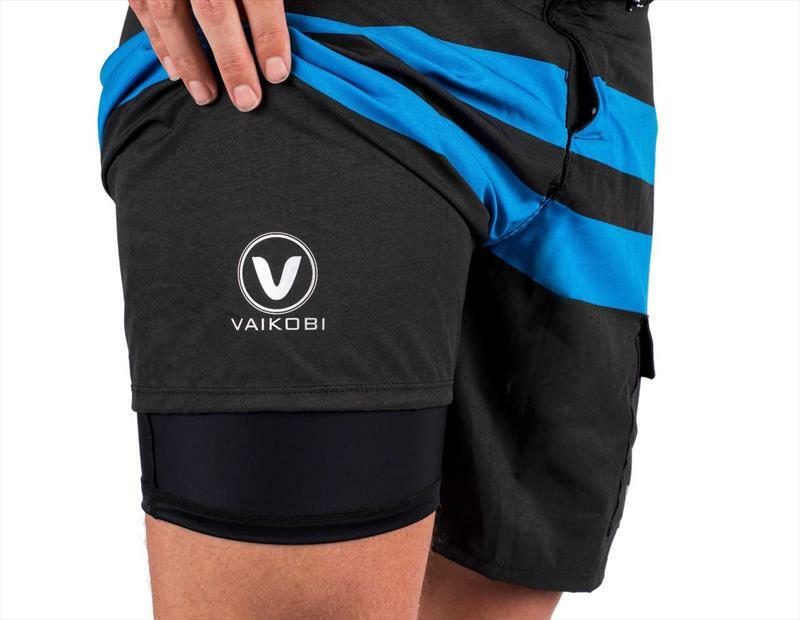 Such is the case with Vaikobi, the brand that started out looking after paddlers, but has rapidly become the darling of OTB sailors, where fit for purpose is just as important as true, genuine and comfortable fit for your body! The secret is that in actual fact, the founders know sailing, as they are sailors, but more importantly, they have an in depth appreciation of how to keep you warm, dry, protected from the sun, and safe whilst youre out on the sea having fun. Those four cornerstones are not only brand pillars, but essentially, exactly the way their products split into ranges, or departments. There is the sun department, the warm department, dry department, and the safe department, but well come to all of that in just a moment. 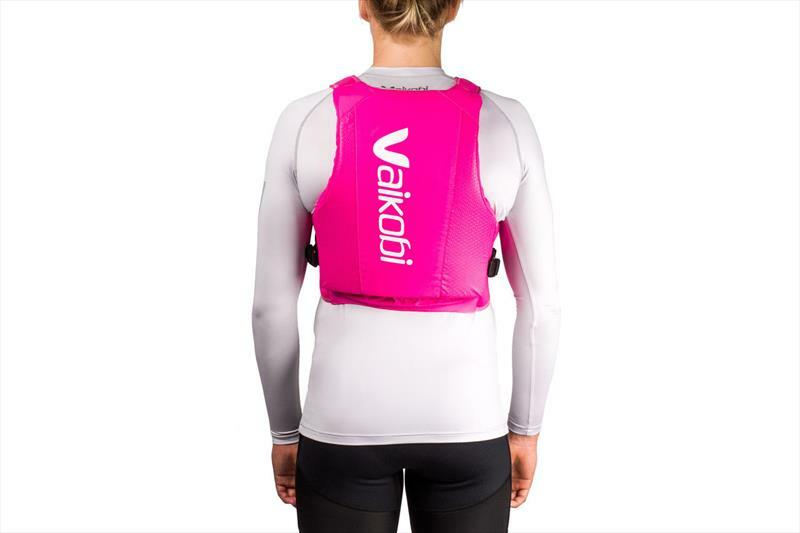 Vaikobi was established in 2012 by husband and wife team, Pat and Adrienne Langley, to provide the most innovative gear for performance water sports athletes. 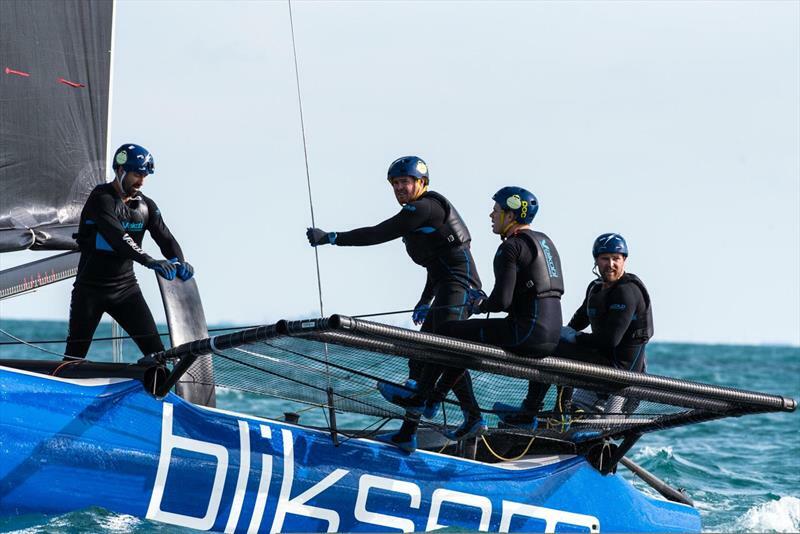 There is more than enough experience in both professional sailing, and also tremendous brands like Line 7, Musto, and Zhik, to go around twice over. As for the founders, well as they put it themselves, We sailed a B14 together a while, and as we survived the test of sailing together, we decided to get married. All of the team at Vaikobi HQ have kids now, so they actively encourage flexibility for all staff. Youll regularly see them leaving early for school pick ups and after school activities. Likewise, youll often see kids around the office offering their helpful suggestions about the latest gear going into production! Best thing is, as all of the children are now sailing, so it is a great way to ensure they are on top of all the product requirements in real time. It is no mistake that in fact the work practices are simpatico with the products they make and sell, so it is very much a case of modern solutions for modern times. 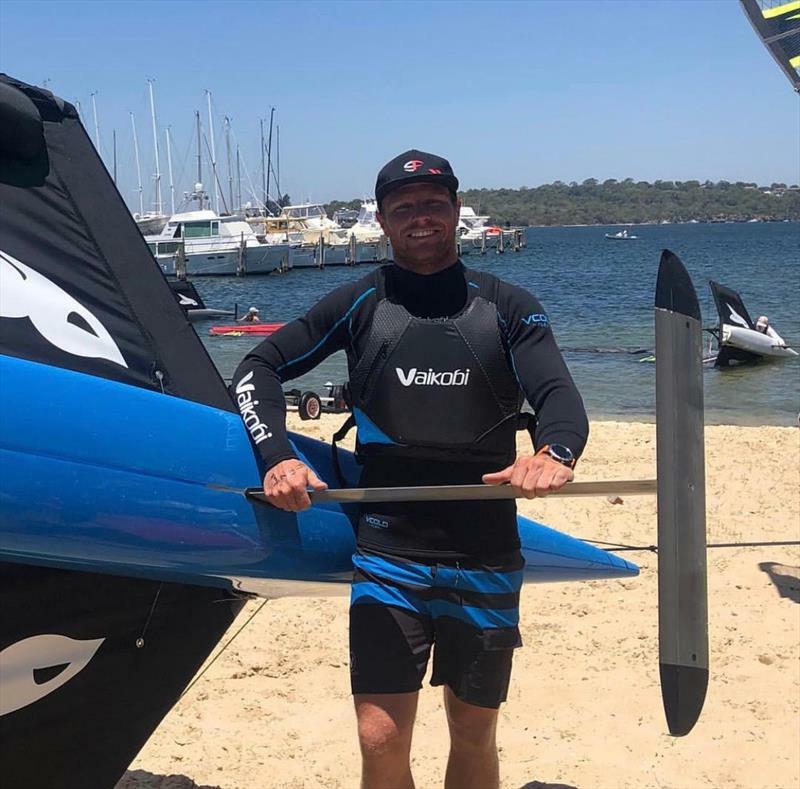 Focussing initially on the paddle market was also part of the plan, for where they are headquartered on Sydneys Northern Beaches is a Mecca for all manner of watersports. Pat himself is a keen paddler, but here too, the lessons learned in terms of fit, mobility, breathability, durability, warmth, and protection have been well and truly honed, and this is why usability remains paramount. No doubt this is reflected in the vast array of World, Olympic and National Champions across many disciplines that use/test/report on the gear, and are the companys biggest advocates. 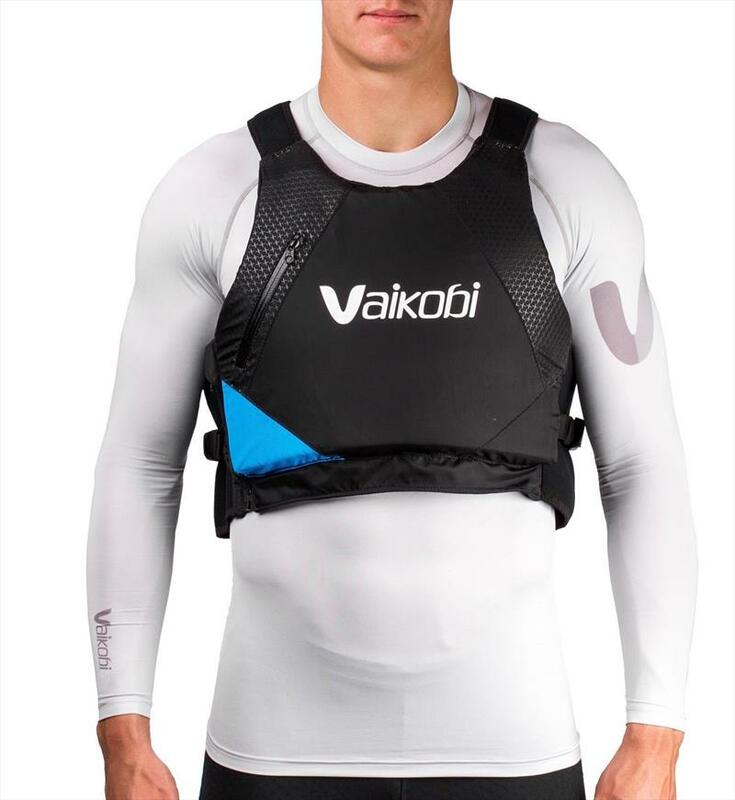 Today, you can now find Vaikobi being sold in over 20 countries, and this is set to build even faster from here courtesy of their new and ever-expanding sailing range. Incidentally, many a sailor also uses some of the paddling gear, and the paddlers are now taking to the sailing items rather smartly, as well. Indeed it was this sort of cross-pollination that caused the Langleys to embark on their Vaikobi Sail Performance project 12 months ago. The aim was to develop sailing gear that worked harder to control your body temperature on the water. 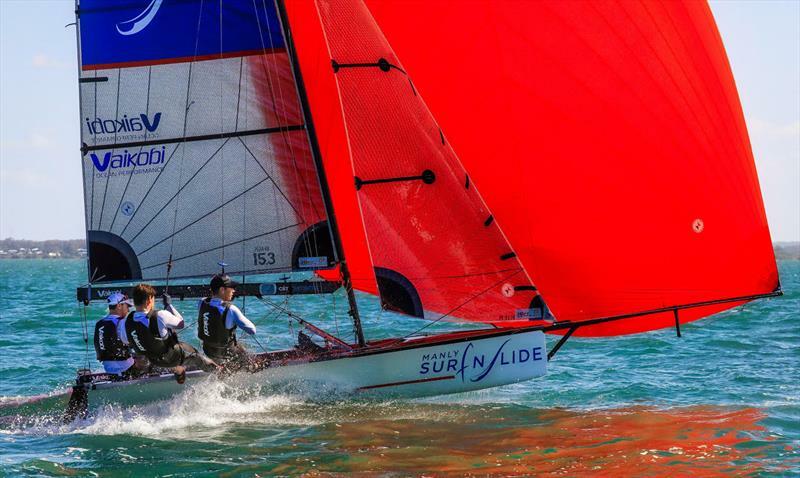 We worked with a range of Aussie sailors from the US-based, pro M32 crew on Bliksem, and the most dominant 16-foot skiff team over the past two years, Manly Surf n Slide. Additionally, we worked with a number of other sailors from 16 and 18-foot skiffs, 29ers, 49ers, Open Bics and 505s to ensure our gear performed, and identified any issues or opportunities for development. 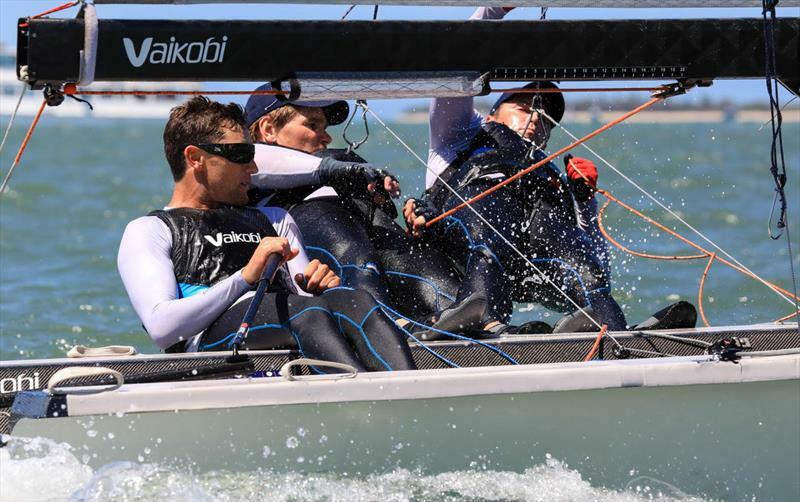 In December we released the first of our Vaikobi Sail Performance range, which included our popular VX Race PFD, our VCold Flex2 Long John, and our VDry Performance Smock. Its all about controlling your body temperature when youre out on the water. 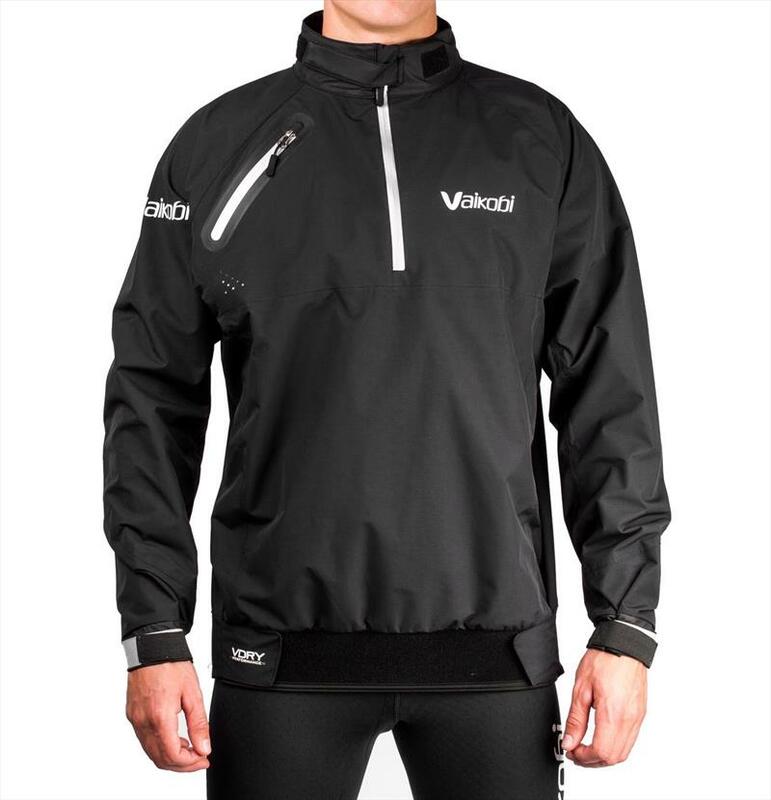 Using our VCold Flex technology developed over the years, our gear is designed to keep you warm without overheating. We have also added in key design features based on athlete feedback, said Langley. So the VX Race PFD is the companys signature product. It stems from a long history in creating athlete friendly, compliant, comfortable, and cool looking gear. Yes, we think we have gone a long way to making being safe a cool thing. If it becomes no hassle, because it feels better and looks better, then it is a no brainer. To do this, it was about getting the strap lengths being correct, the cut outs on the front, sides and back just right for comfort, and using our special form fitting foam that moulds on the body means you really dont know that youre wearing it. Sailors and retailers alike are singing the praises of this one. Thats for sure. It is ISO approved, which aids in global distribution. Apart from being cool and funky, the brand is ultra-aware of its female customers, so there is a special pink version, and it also has its own subtle pattern through it. Quite possibly, this sort of awareness stems from not only the large number of female staff, but also the Langleys own two daughters. Yes. We are certainly aware of the requirement for comfort, and this does show through in our materials and designs. You know the bright colours are more than just cool, they do stem from visibility, and some Downwind paddling races now specify not just a PFD, but a Vaikobi one at that! With the continued rise of fishing from kayaks, and the paddlers who can be up to 2nm offshore, you would think this sort of item is beyond anything but mandatory. The Long John product is where form, fit, stretch and breathability really amalgamate to give you the ultimate in body temperature control as you range from minimal movement on board, to full and even extreme exertion, and then also theres your range of movement. The hydrofleece panels on the sides attend to a lot of the breathability. It also means the chest area is never tight. Theres also a pocket on the leg for your knife or other. There is also the matching tech top (VCold flex top) that has the breathable side panels, and fleece collars, and heres also a lighter weight version (VCold base top) of that, as well, or choose one of the other existing garments from the range, all of which have no seams in the wrong places! So then the sun department would be all about short and long sleeve UV50, light weight, 100% moisture wicking tech tops. These come in either fitted or relaxed forms, in a range of colours, and styles that suit every kind of waterborne endeavour, and very much lend themselves to be part of a team fit out scenario. There is a padded, full leg UV pant that can be matched to these, as well. It also benefits from having a high back and lower front, like many of the Vaikobi pants do. One of the items really taking off is the VOcean board shorts. Originally an inspired paddling solution, these are making a mark in sailing, for not only are they a lot cooler and funkier than your average sailing shorts, they also incorporate an inner Lycra short, together with an airprene padded seat, and then there is the super-stretch board short shell on the outside. This is undisputedly a marvellous, general marine piece of apparel. So then were off to the dry department, which would be VDry category. The signature item here at the moment is the VDry performance smock, which is a two and half layer, extremely breathable top. It has polyurethane collar and cuffs, adjustable waist, and the fit allows for not being too tight in the chest, too short in the arms, or rises too high as it is just too short. Not so here, in fact the tip is that you may well be one size under your normal selection, as they are generous fitments. Youll also be very happy about the price for what it is, so please do check it out. It will range of OTB to keelboat easily, and will provide cover right up until you start to need to worry about hoods and so forth. Sitting under this gem are the single layer shell jacket, with mesh lining smock and vest, which also have a generous cut to account for sitting. So it is really about being a spray-protecting windbreaker, and there are cleverly disguised breathable panels across the back and armpits (jacket only of course), with flaps covering them over as a guard to prevent water from ingressing. They have a fleece collar, and a half zip for access, looking better, performing better when engaged in sporting activity, and there is every chance youll be in the either of them a lot for everything from going to the boat to walking the dog. Now BoatCrewGear.com is an Australian small business that is passionate about sailing and paddling gear, as well as getting the customers the right product. Andrew Hawkins says of Vaikobi, They have always had a range of quality paddling products that we have enjoyed selling. The Vaikobi teams attention to detail and constant communication with the users of their gear has made them one of the market leaders. When they told us they were releasing a sailing range, we were immediately receptive. Knowing that Pat Langley, one of the founders, is not only a keen paddler but a very accomplished sailor, gave us the confidence to stock the new sailing gear straight away. "Vaikobi has a reputation for attention to detail, and listening to the users of their products. Pat is as passionate about paddling and sailing gear as we are. 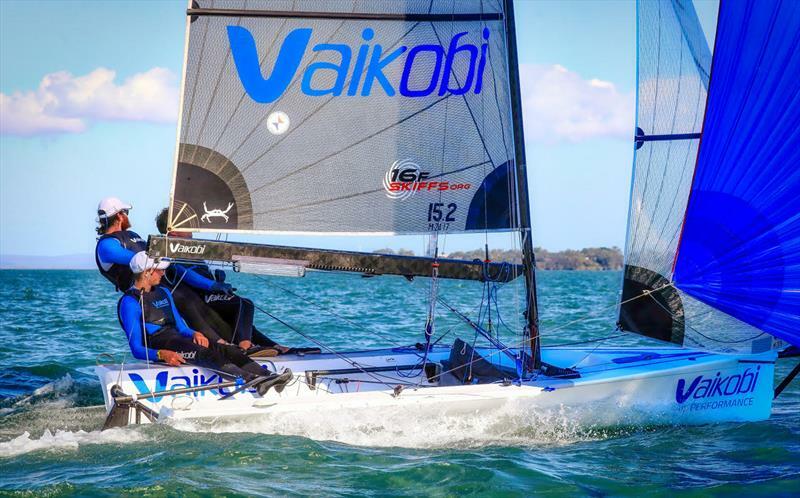 Vaikobi's sailing products have a lot of features that show that they have listened to sailors when designing their range." 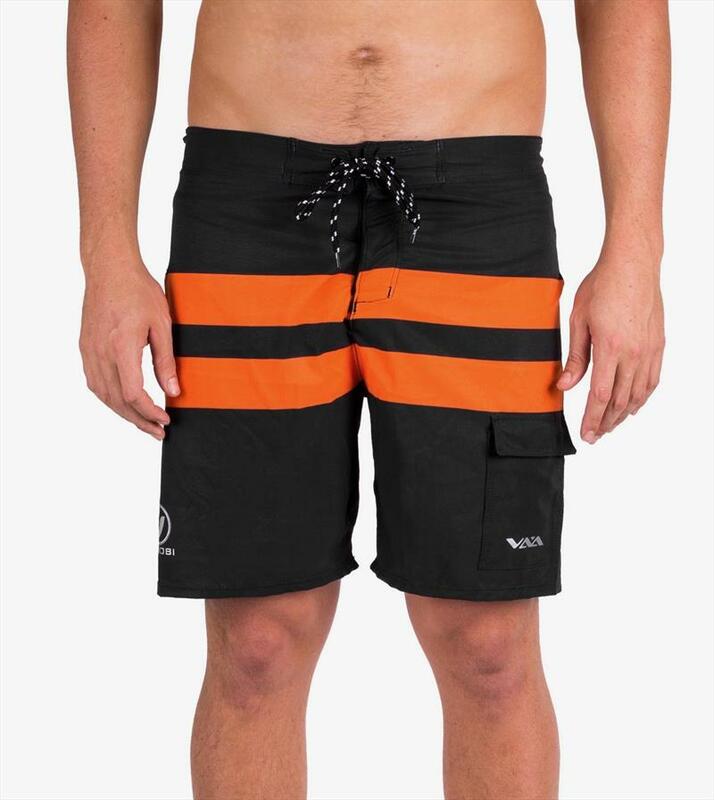 Vaikobi Ocean board shorts in black and orange.